Bishop to Critics: Shut Up! 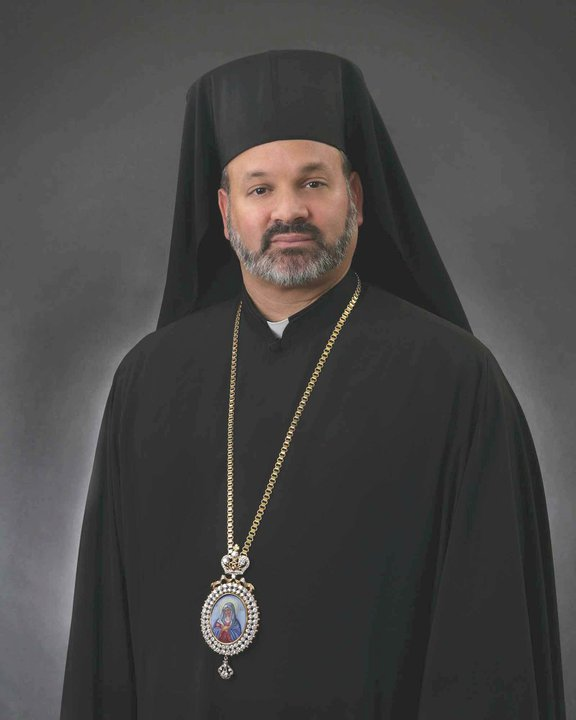 I listened to “Interview with Bishop Demetrios of the Greek Orthodox Archdiocese of America” posted on AFR on Sept. 10, in which he talks about the Assembly of Bishops. If I had been assigned to write the headline for this podcast, it would have gone something like this: Bishop to Critics: Shut Up! The Chicago bishop says that the chief obstacle to the work of the Assembly is the cynicism and negativity of critics here in the “diaspora.” Critics have not been privy to all of the great work already accomplished in committees, he says. How can folks be more helpful? Bishop Demetrios expresses his gratitude to the Mother Churches for “allowing” the American Orthodox to offer ideas for a Great Council which would sort out our messy jurisdictional problem. Then, towards the end of the interview, he changes gears and asserts that there is no disunity in American Orthodoxy. “”Its a unified whole” in America, he says. What people don’t realize is that the Mother Churches operate according in both “chronos” and “kairos” time, he adds. The Mother Churches are now entering in their important work in a “serious and systematic manner” but should not be pushed. 1. Does the Assembly plan to translate the phrase “blessed omogeneia” into Serbian, Romanian, Russian, Carpatho-Russian, Arabic, etc.? 2. Have you like so many other bishops of the Ecumenical Throne applied for Turkish citizenship? If you have, does that not make you a member of two “diasporas”? Which one is more important? Will Greek parishes now be opening Turkish schools? 3. How do you know when you’re in “chronos” or in “kairos”? Is it OK if I offer my church stewardship payments in “kairos”? 5. The Church and Society Committee has done exactly nothing in three years. Is it having trouble identifying any social problems in America? 6. You mention nothing about a unified, autocephalous American church. Was this discussed at the most recent meeting of bishops? When will the Mother Churches allow clergy and lay people to talk about this? 7. You didn’t mention anything about an Orthodox bishops meeting in Ligonier, Pa., in 1994 where the concept of “diaspora” was denounced. Would the Assembly consider established an Archbishop Iakovos Award, to be given annually to the American Orthodox layperson or clergy member who has done outstanding work for the cause of unity? 8. The Phanar representative who lectured American Orthodox about their immaturity in 2009 has since been promoted to the rank of metropolitan and is now being talked about as the next patriarch. Does this bode well for the cause of American unity and independence? 9. Why does the Assembly ask for donations from lay people when most don’t even know it exists? Does the Assembly have a projected budget it is willing to share publicly? Income and expense statement? Well, that really does ring some bells, doesn’t it? Ask you you’re not allowed to criticize – that will tell you where shenanigans are afoot, where money is being pilfered, and where power is being abused. Demetrios is an embarrassment. A leopard can’t change its spots, and a bully can’t change his habits. The Bishop needs to removed for defending criminal priests in his jurisdiction (Fr. Dokos). Remove him period. I see the good Bishop has worked hard to rid Illinois of capital punishment. Has he taken such a stance and activity on abortion and infanticide? Actually yes. Bp. Demetrios is one of the few bishops willing to defend the unborn. He supports pro-life GOA priests in his Metropolis and participated in the March for Life in Washington, DC as well. What worries me is your clause, “He supports pro-life GOA Priests in his Metropolis” because it begs the questions: Are there actually pro-choice priests? Nowhere is the acknowledgment that we are still a tiny part of the religious landscape in North America; that many of our jurisdictions have shrunk in size. ; and that except for a few jurisdictions, many here, including the GOA, have dismal regular attendance rates. I simply cannot comprehend how the leaders of churches, which are failures by any reasonable yardstick, think that they can do a good job of finding solutions. Instead of telling folks to shut up, they should be asking all of the laos to be involved in finding solutions to the problems that we have. What does the term “Mother Churches” mean in reality? I thought the Church was the Church in whatever land she finds herself….. I have a brilliant idea for the funding the assembly, instead of asking the hard working faithful to cough up more money to fund these fancy junkets, why not have the Phanar levy a mandatory 10% annual income tax (aka “gift of love”) on each member bishop of the assembly to fund the annual operations of the assembly. I bet you could bring in close to $400,000-$500,000 a year. Think about it, even after the “love” gets spread around overseas you would have quite a healthy annual budget without placing any additional burden on the people in the pews. I am not sure I see the point in this particular hit piece. It seems to me (as a GOA insider) that the author misplaces the problem. Anyone who actually believes the Assembly has any meaning is living in a fantasy – in short, and with malice towards none – who cares? Too often “unity” has become a golden calf in American-orthodox speak, and all golden calfs are false gods and liars. The problem within the Church today, here and abroad, is the same problem that it has always faced – preaching Christ crucified and risen. The Church, as the dispenser of the Life giving sacred Mysteries, is the “all-unifier” by definition. This is not hampered by jurisdictionalism, which is a problem only insofar as we allow it to be. The salvific life of the Church primarily happens at a micro level, within the parish, which is fully Church, and lacking nothing with regards to the struggle against the powers and principalities of this world. It is where the saving work happens – not in tired meetings. There in the sacred hospital of Christ’s Body, the unity of believers is made real through the font and the chalice every day, again and again, world without end. Would that our Hierarchs be an unstoppable force of loving support for the priests charged with this daunting and fearful task – across jurisdictions – would that they be the truest shepherds, calling the sheep by a familiar voice, and leading them into saving pastures of personal holiness. That is all that I want from Bishop Demetrios or any other well intentioned hierarch. That they often fall short in this regard, as overseers and preachers of Christ crucified and risen is the problem of our day, not the golden calf of American orthodox unity, which like so many other things is a proxy-dummy for what really ails the Church today. Fr. GOA, American Orthodox unity is not a golden calf. The GOA’s understanding of omogenia before Orthodoxy is the true golden calf. Fr GOA–While I agree with you overall, I think calling the goal of American autocephaly a golden calf is a bit much. I agree with you on the centrality of the local parish, where the absence of the bishop does not take away from the fact that it is ontologically complete and in consonance with the Ignatian model. I believe this to be true because our parish rectors are indeed deputy bishops. If only we had more deacons in our churches! No one here is disputing the unifying power of the Mysteries, “FatherGOA.” It’s the insulting remarks of Bishop Demetrios that are at issue. Are we not led, pastored and taught by our bishops? Have they not told us that a Great and Holy Council is in the offing at which the Mother Church bishops will sort out the messy jurisdictional affairs of their colonies in America? I’m a GOA “insider” too (now in my sixth decade on the inside). Sunday School teacher, Parish Council member, souvlaki roaster, check writer. My grandparents, who tired of wretched poverty and dim prospects in the Mother Land, boarded ship and left for good. How’s things going today in lands of the Mother Churches? Are the Mother Land bishops like wizards who have solved all their own problems? Seems to me that in some places the Mother Church laity are beating it for the exits and the bishops there have their hands full. According to Bishop Demetrios, I’m supposed to shut up about the Assembly and “prayerfully” write checks for the next, oh, 25 years or so, not sure how long but then it’s KTS (Kairos Time Zone) and the Mother Churches don’t want to be rushed. Do they have special wristwatches that tell time in both “chronos” and “kairos”? It’s my Church, too. As an insider, I take exception to begin told to shut up. I can’t escape the suspicion that the Assembly is just the latest retrograde set-up to firm up Mother Land control. And we locals will be permitted to manage the decline. John, your piece was one of the best you’ve ever written. Back in Feb, you and Fr Peter Preble each wrote an essay taking the ACOB to task for not standing up for religious freedom. Within 36 hours you shamed them into coming out with a fairly strong (for them) statement supporting the Catholic bishops in their fight for religious freedom. I hope that your reproach this time bears fruit as well. Me thinks the critics of FrGOA misperceive his intent. It is a Gospel reality check, if I might be so bold to suggest. The model to which he intends to emulate is the 9th century Balkans and environs. I just don’t see the unified witness of Orthodoxy he’s all on about. In my town, which is where Elder Trenham hisself hisself is from, you can’t get much more disunified except in outright schism. His Grapes of Mopsuetria really needs to get out of the chancery more often to see what strangers everyone out in the diaspora really are. What a maroon! John, I would like the add the following to your list of fine questions for Bishop Demetrios to answer. 1) Is there any moral, canonical, or spiritual reason why the proceedings of the assembly should not be broadcast, recorded and published for the laity? 2) Why are the approved by-laws of the assembly still unpublished? 3) Why is the budget of the assembly unpublished? 4) What are the major funding sources of the assembly? Does the assembly receive funding from any foreign government, organization or person that would represent a conflict of interest? 5) How does the assembly vote on questions placed before it? Simple Majority? 2/3 majority?or something else? 6) If Archbishop Demetrios disapproves of the result of an assembly vote can he veto it? 7) Is there any moral, canonical or spiritual reason not to have a rotating assembly presidency as the SCOBA constitution called for but the GOA never followed? 8) Why is the assembly incapable of tackling any serious moral issue in detail? Three years of work has generated only three brief one page statements. 9) How many members of the assembly maintain legal citizenship in a country outside of the one they minister in? 10) Would you welcome a 10% income tax placed on all members of the assembly to fund its operations? 11)The GOA presently spends less than one penny out of every dollar on evangelism (0.82% of its annual budget). What has the assembly budget allocated for evangelism? 12) Will the asembly be enlisting the help of the Archons to address issues of religious freedom in the USA? 13) Do the moral positions of the assembly represent the moral positions of the Greek Archdiocese? These are all excellent questions, Andrew. We’ve got enough together now for a follow-up podcast, don’t you think? Bishop Demetrios, what a Bishop!!! The laity should shut up! But, our money is still good isn’t it Dimitraki ? Bravo John for the article. Maybe you’ll win the IAKOVOS award this year.